"We especially loved the changing camera angles so we could see up close and from different levels how to do the movements." Amira was born in the tiny Nordic country of Estonia. She grew up in the forests and farmlands, living a simple but healthy life that many of us missed out on, surrounded with the love of her parents and friends. She spent her winters in town, and summers at the country house helping with the planting and harvest. All through childhood she was as active as could be; she studied piano, guitar and saxophone, languages, took art classes, acted in school plays, and wrote poetry and plays for her school-theatre team. She’s had a love for the stage from the very beginning. After high school, Amira moved away from her parents to the big bustling city of Tartu (Pop. 96,000), where she attended and graduated from Medical School in 1996. It was around then that for the first time in her life she was exposed to Flamenco dancing, which intrigued her greatly. She sought out teachers, hammered nails into some old shoes, and soon found her calling and the thing that she knew she was meant to do; dance. It quickly turned into a lifestyle rather than a hobby, and to this day is one of the greatest sources of passion she has ever known. But now, all that past, through perseverance and a positive attitude, America has become the place where all her wildest dreams seem to come true. Besides finding great friends and teachers in the Flamenco society, she started belly dancing, which immediately turned her world upside down. While attending College in Las Vegas, she studied and trained relentlessly, eventually gaining popularity and professional status. Although Amira started training in Flamenco while in her homeland of Estonia, after arriving in the US she trained for years with the well known and respected teacher Margo Torea. In addition, she has trained with several other well known teachers, including names like Vanessa Alvarado, Coral Citron, Clara Ramona, Roberto Amaral, Manuel Gutierrez, Elias Vargas, La Tania and Belén Maya. In 2001, Amira became the swing dancer to cover Vanessa Alvarado’s solo Flamenco dance part in the show “Beats Of Passion” performed at the Venetian Hotel in Las Vegas. Since 1999 Amira has also performed in every Christmas Dance Festival, sponsored by The Sociedad Cultural Hispana. Soon after her arrival in this country, Amira began studying Belly Dance with Marliza and Nadia of Las Vegas. Amira has also trained with many other well known teachers of Middle Eastern dance such as Zahra Zuhair, Eva Cernik, Aziza, Jillina, Faten Salama, Fathiem, Sahra Saeeda and Suhaila, to name just a few. 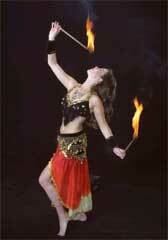 She now studies regularly in the US and Middle East, and teaches belly dance independently. Click HERE to see more about her recent studies in Cairo, Egypt. Currently Amira is enjoying growing success, gaining popularity and respect within the Middle Eastern and Arabic communities in the US and abroad. She is among the most requested belly dancers in Las Vegas, appearing regularly at everything from private parties to Arabic nightclubs, restaurants, and the Arab American Heritage Club. Ever expanding her repertoire, she has studied fire eating under the tutelage of the Cirque du Soleil “O” show performer Ray Wold, and incorporates fire into her performances. Now, many years after her arrival, Amira has become one of the most sought after dancers in Las Vegas. Traveling constantly, She regularly teaches both domestic and international workshops which are regularly sold out, and Amira’s performance experience includes venues ranging from formal stage productions, to large and small commercial and private events along with modeling. She has performed as part of troupes, dancing ensemble as well as in duo and solo pieces. If she were to become well known for anything, Amira hopes that it would be for her loving and caring approach to women’s issues, her warm personality, her unique teaching style, but she has no interest in competing or winning awards. Although she attends the competitions and shows support for her students and other dancers, she never enters, as her philosophy is that everyone is unique, and comparison in this dance is not healthy. In Amira’s eyes, anyone with a serious interest and devotion to this dance is a winner to begin with, and she admires and has respect for anyone walking in the studio door looking to learn. Last year, Amira released her first instructional DVD entitled “Bellydance 101”, geared more toward the beginning dancer. Featuring the beautiful music of widely acclaimed global recording artists Phil Thornton and Hossam Ramzy, this DVD has already earned widespread accolades for Amira's clear and supportive teaching style, her attention to solid technique, as well as for its exceptional production quality. With its success in the U.K., in cooperation with the publishing house of New World Music Ltd., the release of Amira’s Bellydance Music Compilation CD is slated for the spring of 2006. This will feature even more selections from Phil Thornton and Hossam Ramzy. Being 5’10” and multilingual Amira has been chosen as bellydance model and spokesperson for one of the biggest dance retail companies in US “Eurotard”. Click here for the cover of Dance Retailer News Magazine. Amira also sails, skydives, drives fast, and lives with her husband, 40 chickens & two cats in sunny Las Vegas.